You will be proud of our Veteran Buyer. to see if you qualify for 100% financing too! It is another Happy Day at Dinits Realty because we had another successful closing. We helped our Buyer Client score a condo 2 Blocks from the beach. Keonekai Villages is the premier townhouse community in South Kihei because of the great location, low maintenance fees, and great atmosphere with residents and long term renters. Built in 1992, this fee simple condominium features 256 units located in twenty-seven, two-story buildings situated on an 11.5 acre property. There are three different floor plans available. 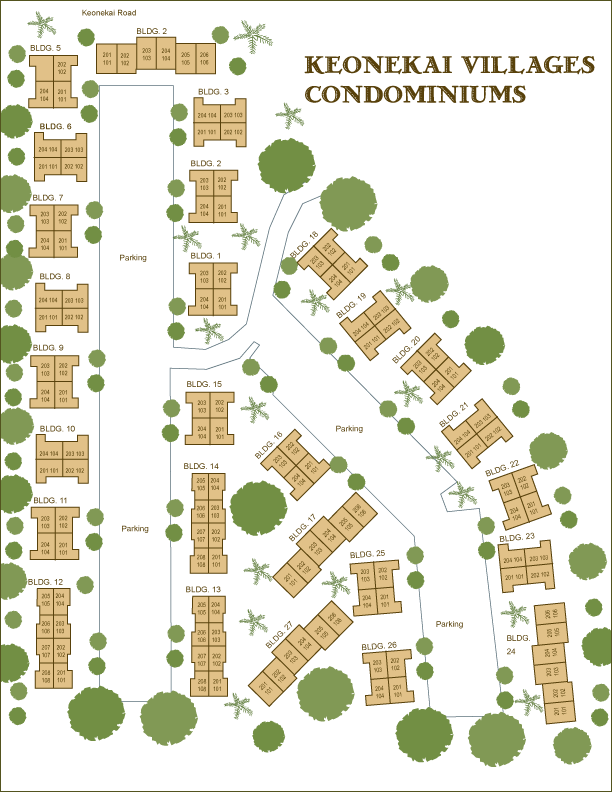 Forty-eight units are two bedrooms, one bath units with 625 square foot interior. Most of the condos, one hundred and sixty, are residences with two bedroom, and one and a half bath with 750 square foot interiors. Forty-eight homes have two bedrooms and two baths and 756 square foot interiors. Each unit comes with two tandem parking stalls. Keonekai Village does not allow short term, vacation rentals and has no pool, so maintenance fees are low and the atmosphere is quiet and homey and not like a bustling resort. If you your best friend is four legged you will be happy to know that this is a pet friendly complex and that you are less than a block from Keonekai Dog Park. If you like the beach Kamaole Beach Park is just down the street offering a white sand beach, picnic area, swimming, restroom facilities, snorkeling, sunbathing and a spot to watch sunsets or whales from the shore. Keonekai Village a short walk from many restaurants, stores, and live music just down the street on South Kihei Road. Take a five to ten minute drive south and you can enjoy dining or seeing shows at the resorts in Wailea or golfing on Wailea’s Blue Course. 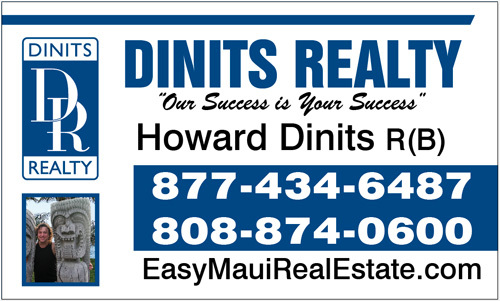 Call Howard Dinits today to schedule a showing or write a purchase contract for your new home or investment property at Keonekai Villages today.